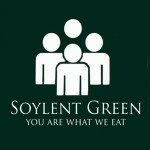 You are here: Home / Better Than Soylent Green? The world has never stopped looking for alternative food sources. And they have found some doozies. From the deep fried bug market in Thailand to the horse sashimi fetish in Kazakhstan, it seems that humans are always finding ways not to starve. And, I suppose, that’s a good thing. If we all starved to death who would we make fun of? Or, more importantly in our self centered world, who would make fun of us? For the record, I have tried a wide variety of foods. Including bugs and horse. For the most part, except for raw horse, you probably wouldn’t know you were eating anything odd unless someone told you or your counted the legs and feelers before you chewed. 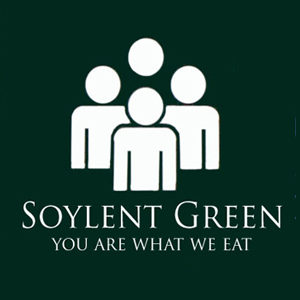 Back in 1973 Richard Fleischer directed a film about how to recycle humans into food called Soylent Green. It scared the living bejeezus out of a lot of folks. My mom wouldn’t touch chili for years after that. Of course that was back in the day when world hunger was just becoming an international issue. Now things are okay, right? Thanks to greedy dictatorships, inefficient distribution methods and downright corruption the world’s food is not getting to the world’s hungry. And, don’t get me wrong, there is enough food to go around. Scientists at NASA have decided that throwing a little money at the problem might lead to a big solution. And by “little” I mean about what one third of what an NFL rookie makes at league minimum. Eric Pfeiffer, at Yahoo News, has the whole story. Call it food for thought. Or perhaps thought for food: NASA has given a six-month grant to a company developing what could be the world’s first 3-D food printer. And the project’s developer, reports Quartz, an online digital news site, believes the invention could be used to end world hunger. You will notice that taste wasn’t mentioned. Ever since THX-1138 presented the idea of food paste as opposed to Star Trek’s version of a replicator that could make a gourmet meal, people have held low hopes for flavor in space. But, more importantly and closer to home, if this works these printers could easily be distributed throughout the world and the hungry would need be hungry no more. And, as I have noted before, people who aren’t hungry or desperate tend to concentrate on living normal lives and not fomenting rebellion. Oh, and they frolic. In fact, we should all frolic right now in a show of non-hungry unity.